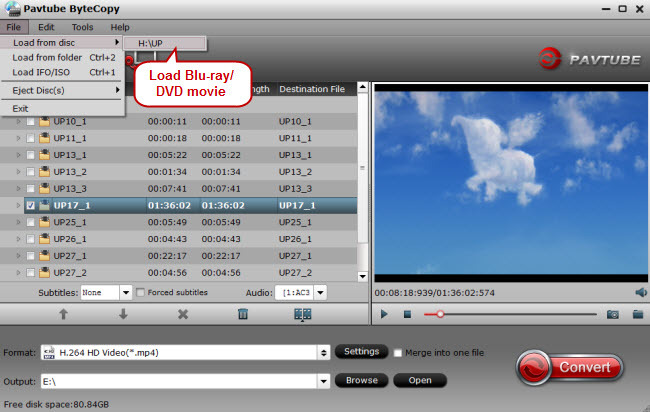 Home » How to convert DVD to HD AVI Easily and Quickly? It is a common that in our homes children spoil DVDs by physically damaging them. That's why many DVD collectors like to copy DVDs. Apart from backup DVD to hard drive in Video-TS folder, or VOB, ISO images, it is more popular to copy DVD to HD AVI format cause that VOB and ISO are unsupported by many media players and devices. It gives you more access to view your DVD video if you convert DVD to HD AVI video files. AVI is a multimedia container format used by DivX video versions 3 through 6. It has become the most popular file type for sharing high-quality video on the Internet, and it's common to see these files with either an .avi or .divx extension. AVI file format is the most widely used video format for promos, short movies and advertisements owing to its compression capabilities and AVI file format do not require any particular hardware device of software application for the file to run. You can copy DVD to HD AVI using DVD Ripper while playable DVDs and disks also can be created by using AVI file format in order to store initial audio/video information. To convert DVD to HD AVI for safe storage and convenient playback, a DVD to AVI converter is necessary. Pavtube ByteCopy is a free-to-try DVD to AVI converter that can copy DVD to AVI video files with high speed and great video quality. You can rip entire DVD or just partial segment by time or by chapter. It can rip DVD disc, ISO file or movie Video-TS folder to AVI with none of the headaches. It is designed with a powerful processing engine, providing users the extremely fast DVD to AVI conversion experience without losing original quality. With Pavtube ByteCopy, you can convert DVD to HD AVI within 3 clicks easily on Windows 10, Windows 8.1, Windows 8, etc while the equivalent Pavtube ByteCopy for Mac (read review) can convert DVD to AVI on macOS Sierra, El Capitan. Why choose Pavtube DVD to AVI Converter? 1. Easy-to-use: A powerful but extremely easy-to-use DVD to AVI converter which is suitable for all walks of people. 2. Clean and safe: 100% clean and safe application prevents users from being disturbed by any adware, spyware, malware and viruses. 3. Super speed: Extremely fast and excellent. Pavtube DVD to AVI Converter can complete a whole DVD conversion within 10 minutes with the leading processing speed and lossless quality output. 4. GPU Acceleration: Hardware acceleration enabled to enhance processing speed to greatly shorten your waiting time under the condition that you convert DVD to H.264 AVI on Windows and your computer has GPU-enabled graphic card. 5. Everything included. Select audio track and subtitle track freely. Preview the DVD to help to convert DVD precisely. Snap pictures from DVD video. 6. Powerful Editing Function. Join titles and chapters. Trim DVD. Crop DVD. Rotate DVD. Flip DVD. Add text/image/video watermark to DVD. Adjust audio volumn. Replace/mute/fade DVD audio. Adjust DVD video aspect ratio. 7. Various AVI output: Convert DVD to SD AVI. Re-encode DVD to HD AVI. Change DVD to DivX AVI. Copy DVD to XviD AVI. Rip DVD to MPEG-4 AVC AVI. Turn DVD to 3D SBS AVI, 3D TB AVI, 3D Anaglyph AVI. Rip DVD to Encoded AVI with multiple audio files. 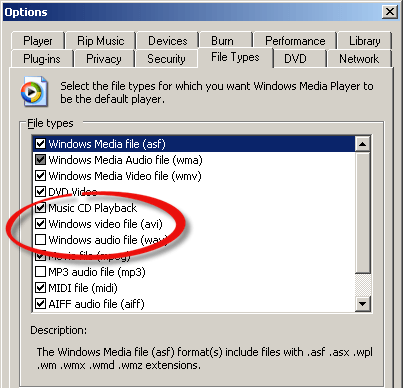 Download Pavtube DVD Ripper to your computer, and double-click to install it. Now run the software. The program window will appear. Insert the DVD you wish to rip into the DVD drive and click DVD ROM to load DVD from optical drive. If your DVD is saved as files on your computer, click DVD Folder and browse to the folder that contains DVD files. Now all the episodes are imported to the file list. If you imported DVD Video-TS folder and DVD ISO images, you can batch convert DVD videos to HD AVI. But if you insert DVD disc to load, you can't convert DVD to HD AVI by batch. ByteCopy also can be treated as a Blu-ray Ripper that can convert Blu-ray to AVI files. So if you are some Blu-rays, you can load them in and convert to AVI. 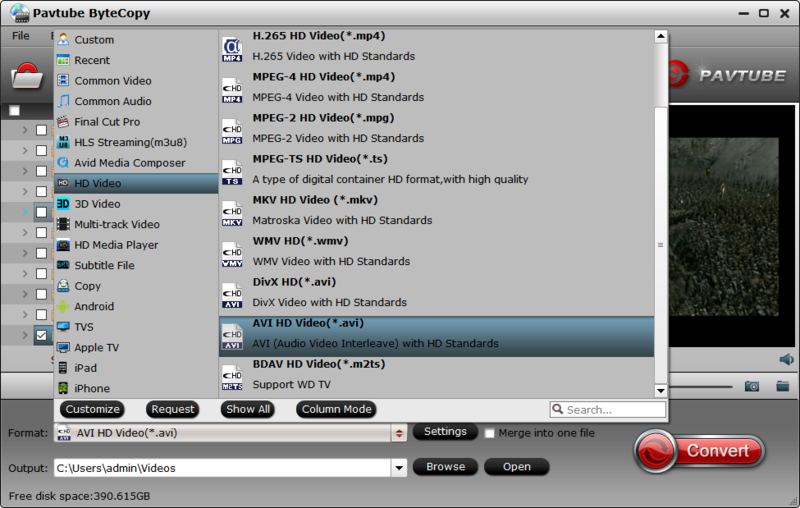 Click the Format bar, and choose HD Video -> AVI HD as output format. Here you can also find other formats of HD modes, including MKV, MOV, MP4, WMV, TS etc. You also can choose 480p AVI in "Common Video", multi-track AVI in "Multi-track Video" and 3D SBS AVI, 3D TB AVI, 3D Anaglyph AVI in "3D Video". Specify an output folder to save converted videos if you like. Either type save path in Output bar or click the small folder icon and browse to a suitable destination folder. You also can click "Settings" to adjust AVI video size, bit rate, frame rate and audio codec, bitrate. Now everything is ready for converting DVD to HD AVI. Simply click the Convert button at bottom right. You may check the progress on popup window. If you would like to combine all the chapters into one file, please check Merge into one file. The converted video can be played on various players and devices like VLC, RealPlayer, Windows Media Player, MPC-BE, etc. Description AVI, a short for Audio Video Interleave, is a file format designed to store both audio and video data in a standard package to allow its simultaneous playback. DVD is a format of optical disc storage medium, with a greater audio-visual data storage capacity than that of the compact disc of the sae dimensions. Help You Choose For playing videos or editing videos, AVI format is a good choice. If you want to backup your videos, or watch videos on TV via DVD player, you can burn videos to DVD.